The Hybrid Tuckable Dual Belt Clip IWB Kydex Concealment Holster gives you the flexibility to conceal your gun with your shirt tucked in. Combines the comfort of a full polymer backing with the security and durability of a hard KYDEX shell to make the most versatile, lightweight & comfortable concealed carry holster you can buy! The backing’s strong but pliable construction, combined with the mounting/ventilation holes provide for every-day, all-day extended concealed carry comfort and breathability along with the ultimate in carrying versatility. Worn inside the waistband for superior concealment, you can wear the Hybrid Tuckable Dual Belt Clip IWB Kydex Concealment Holster with your shirt tucked in between the holster body and the belt clips so your gun is completely concealed. 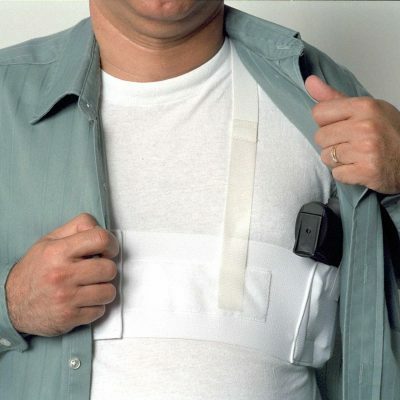 Or wear it with an outer garment as a fast access, IWB holster. The holster contours to the shape of your hip and keeps your gun close to your body making it very comfortable for extended, all day concealed carry. 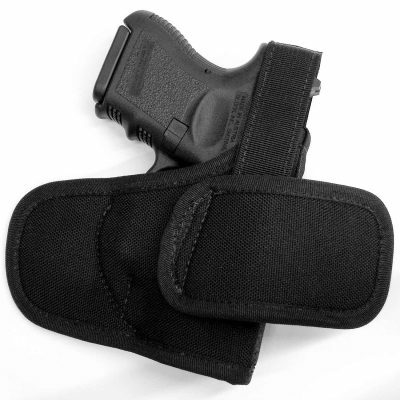 Adjustable carry angle and ride height make it easy to setup your holster just right for you. Mounting holes on the backing allow the belt clips and shell to be mounted at either a standard or deep conceal ride height while allowing the cant (carry angle) to be adjusted as you like. Only top-quality, USA made hardware is used, and all the screws are pre-dressed with threadlock, so they stay put no matter what. The design holds the gun very close to your body for maximum concealment. The Hybrid Tuckable Dual Belt Clip IWB Concealment Holster is a quality holster designed for no-nonsense, practical everyday use. The shells are cut to minimizes any excess material while providing full protection and security of your firearm. They are molded to fit the specific firearm listed. The Hybrid Tuckable Dual Belt Clip IWB Kydex Concealment Holster is great for anyone who needs to put on and take off a holster quickly, without having to remove your belt. MULTI-POSITION: The Hybrid Tuckable IWB KYDEX Concealment Holster is recommended for mostly strong-side (2, 3, and 4 o’clock) carry. COMFORT: The backing provides a high level of comfort for a IWB It is made from waterproof, high-tech polymer for a comfortable carry. It prevents your gun from rubbing against your skin and also protects the gun from perspiration. 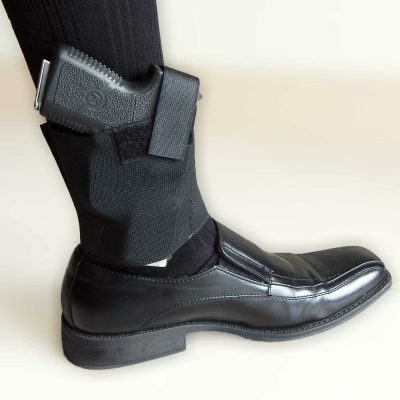 SECURE: The two attachment points, positioned in front and behind the gun, makes this holster super stable and secure on the belt. BELT SIZE: Comes with injection molded polymer clips that fit up to 1½” belts to keep holster secured to belt. These thin clips offer an even smaller profile on the belt than conventional belt clips, and further increase concealability!